The alley was closed off after an incident on Sunday night. Police closed off an alleyway in the West End of Morecambe after a man was seriously hurt. The Co-op on Regent Road had to shut early on Sunday night due to the incident. 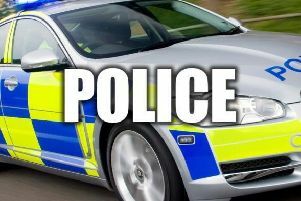 Police said they were called to an address on Regent Road, Morecambe at 7.15pm on Sunday, February 26 following reports a man had suffered a serious head injury. A 43-year-old man was taken to Royal Preston Hospital where he remains. His condition is described as serious but stable. A 48-year- old man from Morecambe was arrested and bailed until May 2 in connection with the incident.